hey all, just a random thing I'm posting up but does anyone have any problems dealing with managers when you have a highly sought after player? I have Mbappe and I'm trying to get deals done for various other players that they have but they refuse to negotiate with me unless I sell them Mbappe to them for a 2 for 1 deal where the player(s) I'm after is included in the deal. I feel that managers like this are killing the game and the transfer market in the respective setups. I have been with this club since 2006 and I've never had this problem before but now i have at least 3 managers doing this to me! have you got any tips on how to negotiate with these stubborn managers and any tips on how to revive a dead transfer market? Thoughts on Brandt getting position change to be able to play in M(C) as well? Bosz has played him in midfield the last few games and he's been killing it. A goal and two assists now before half time. Rodriguez will keep his 90. Guerreiro probably hasn't played enough for a rise but should keep him 90 for now at least. Ben Davies is a good option too. I would think he has to rise! I've been expecting it, but the Turkish review is a mess at the moment. No order to it. Highly unlikely. He's missed too many games. Didn't know about this but looking up his stats he's gone down as AM(C) rather than M(C) on some stats sites so they probably won't change anything for now. Depends on soccerwiki input maybe? I know he has been said to be CM in a 433, but that win against Mainz looked more like a 4141 with him and Havertz AMs, Bailey and Bellarabi on the wings and Aranguiz holding. It really doesn’t look like a 433 and Brandt isn’t a CM, but he was great wherever he was playing! You have a player they want, everyone wants to be honest. If they won't deal there's not much you can do to be honest, it's their choice either way. I can see how it would be frustrating but you just have to get over it. LE or DC less than 10m thats will rise next patch? I've received an offer of Jerome Boateng and Frenkie De Jong for Van Dijk. Good deal? Guerreiro plays a winger, so he might soon lose his LB position. Davies - I don't think he goes on attack much. More like a Full back than a Wing back. Guerreiro won't lose his LB position anytime soon, he still plays LB for dortmund sometimes and he does it regularly for the NT. For them surely you are the stubborn one for refusing to sell Mbappe and stagnating the market. 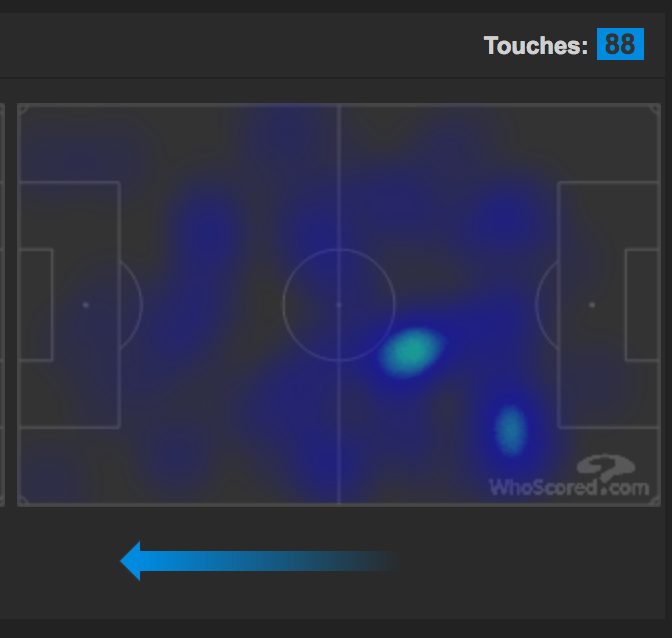 Guess will see how it continues but for me there isn't a massive amount of difference between 4141 and 433 in that he would still be dropping into midfield even if he was higher up but from that heatmap it looks like a lot of his touches were deep. Maybe he is being a bit stubborn. Selling K.Mbappe is a difficult decision to make even if you are offered a very good swap deal. I guess its dependant on who is offered to him and where his team need strengthening. I would keep V. Van Dijk because I missed out on him myself. (he is the best CB in the PL in my opinion). I see J.Boateng dropping now, if you can get F.D.J another way try that. Alternatively you could try and get A.Melo, H.Aouar, N.Dembele or K.Havertz (if its possible). Is there any chance to report manager(s) in GW where SMFA is switched off? I had 2 unsuccessful attempts to report, whether to continue or not make sense? God bless you all for trying to help me pick the best choice for a new LB. R Guerriero and B.Davies are an option for the future, (if available) it's also dependant on how well B.Mendy's return to action goes..
LOL, no he's not! he'll be a minimum of 92 in 12 months time, no less. Still not the best of deals though, Dijk can reach 95. How dare they not roll over and give you their best players in exchange for pocket fluff and buttons. Disgraceful behaviour. Maybe 16 months, in three reviews he'll drop to 90 IMO, -1 each time. Once a staple of the Bayern defense, and nailed on starter, he now finds himself relegated to the bench more and more. I'm not sure a heat map is likely to have much effect on how stats sites record a player's position. It'll more likely be the team sheet and formation. Whoscored has him down as M(C) but Transfermarkt has those games as AM(C). It'll all come down to how soccerwiki is updated. You need to judge everything the way SM/soccerwiki will rather than any other source. He could get M(C), but don't bank on it. Maybe one of the guys who knows the workings of SW will be able to help? How did you report the first 2 times? Are you reporting deals or multiple accounts? I think this is probably the most realistic. He dropped this winter and still starts most games for Bayern (missed some to injury), so I think he'll keep 93 in the summer review. Depending on what happens next season he might go to 92 in the winter review. Can't see him dropping to 90 in that time anyway! But like everyone else has said, I'd pick VVD over him. Agree with the previous comment. He's worth keeping, but with that attack he'll just get concerns so sell. If it's a custom with no concerns then keep and sell after his next rise maybe!